Josh Funk and Rodolfo Montalvo join us today for the reveal of their brand new picture book, Dear Dragon! Click the image below to see the cover, and then read on to learn more about the inspiration behind the story. Can you tell us a bit about DEAR DRAGON’s story? 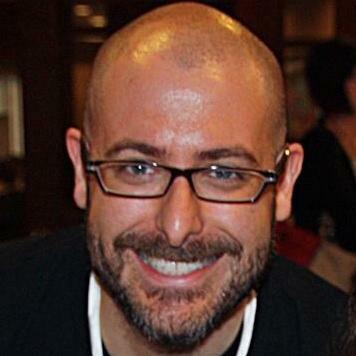 Josh: Yes, and first let me say thank you for hosting the cover reveal at All the Wonders! This is such a fantastic resource for all children’s book lovers! Dear Dragon is the story of two boys’ friendship, which develops over the course of a classroom pen pal assignment. While neither George nor Blaise is particularly keen on writing at the start of the year, as school progresses they begin to bond over common (and differing) interests. The story is told through their letters to each other, all of which are also written in rhyme – as the Poetry and Pen Pal units have been combined. Oh! 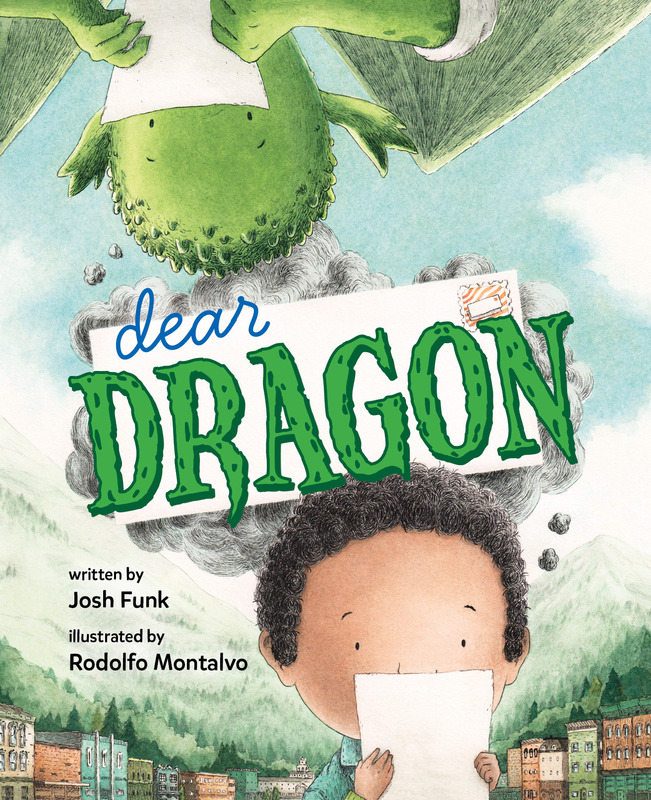 I should also mention that George is a human while Blaise is a dragon, which causes hilarious misunderstandings within each other’s letters – spectacularly illustrated by Rodolfo Montalvo. But in the end, hopefully readers will see that friendship can cross the boundaries of skin color, wingspan, or even species. Rodolfo: I mainly used watercolors and black acrylic ink. Dear Dragon is the first picture book project that I’ve completed using only traditional tools. I couple of years ago, I decided to produce all of my children’s book work with only traditional materials. I’m very happy to have had to chance to work on Josh’s story and to have found the art director who thought that my traditional watercolor work was the right fit for Dear Dragon. I’ll definitely keep working traditionally for a while, though there is always some digital work happening behind the scenes. Josh: Wow, there are so many of Rodolfo’s illustrations that are just mind-blowing. I think the scene with Blaise’s pet might be one of my favorites. But ultimately, the spread where George and Blaise meet is simply the most adorable. 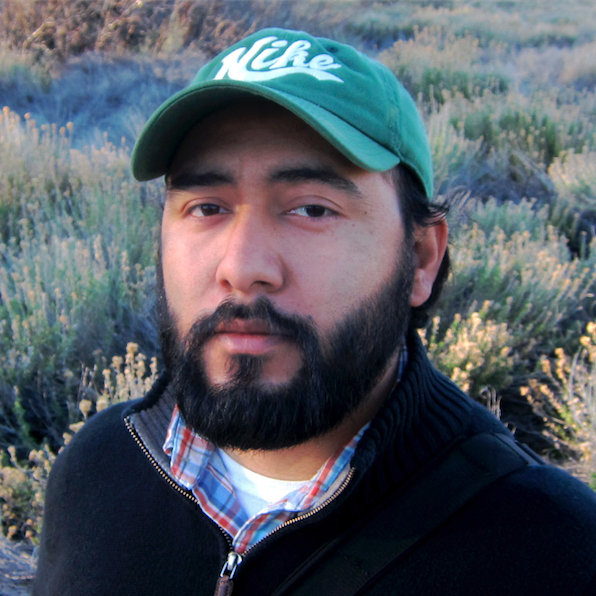 Rodolfo: One of the things that I enjoyed most about Josh’s manuscript was the way he opened up the world around the two main characters and made it possible for anything to happen. In Dear Dragon you’ll see a lot of fun and unexpected things in unexpected places. Like a bengal tiger in a book about dragons! If you could write a letter to any one or any thing knowing that you would definitely get a response, who or what would you write to? Rodolfo: Whoa! Nice question! Maybe this might be one of those “yeah, who wouldn’t?,” kind of answers, but I would have to say either the child version or old man version of myself. I think I missed out on a lot of really cool, simple things, as a kid, that were there all along. And as far as the old man, well, what am I missing out on now, you know? Josh: I’m going with the Lorax. Where are you, Lorax? Are you ever coming back? Cause I really want some Truffula fruit. Thanks for sharing the cover of DEAR DRAGON with all of us! Who’s publishing the book and when can we start watching for it at our local bookstore? Rodolfo: The book will be out this fall and it’s being published by Penguin Random House imprint Viking Children’s Books. Josh: September 6th, 2016 is the date that I’ve heard! Just in time to start your own Pen Pal unit! Mark your calendars! And thanks again for having us! Thanks for sharing Dear Dragon with us! Josh Funk is the author of Lady Pancake & Sir French Toast (Sterling), as well as the forthcoming picture books Dear Dragon (Viking/Penguin 2016), Pirasaurs! (Scholastic 2016), and more. Currently living in the Boston suburbs, Josh is a board member of The Writers’ Loft in Sherborn, MA and the co-coordinator of the 2016 and 2017 New England Regional SCBWI Conferences. Rodolfo Montalvo is an illustrator based in the Los Angeles, California area. He recently illustrated the middle grade novels The Contagious Colors of Mumpley Middle School and The Amazing Wilmer Dooley, both by author Fowler DeWitt. Dear Dragon is his first picture book. Awesome interview, and I love the marquee graphic! Totally awesome!!!!!!!! Congrats again, Josh! I love Rodolfo’s cover! What a team! Thanks for this very cool reveal, All the Wonders! Perfect cover art & concept! Love the cover!! Can’t wait to read it. Fabulous and inviting cover, wonderful concept! Love this “cover reveal” excitement! I know this will be a fabulous addition to the world of picture books. Love this concept! Congrats, Josh! This sounds perfectly delightful! I look forward to reading it.